For a debut novel and the first in a Biblical fiction series, this was amazing in its portrayal of the Exodus account with all the exotic rich details of Egypt. I usually don't read novels based on Biblical people or accounts because in the past I've been disappointed with their portrayal or inaccuracy. 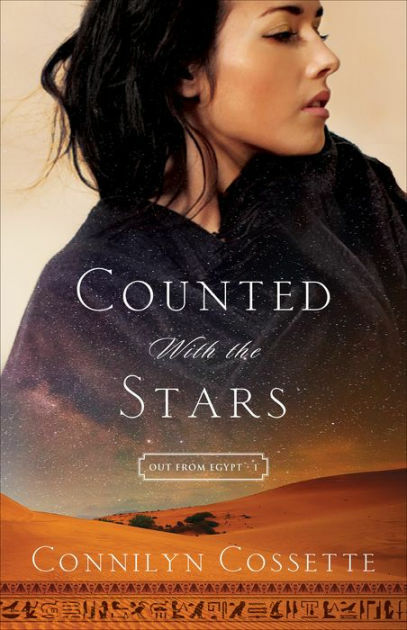 But for some reason I was intrigued by the book description of Counted with the Stars which tells the story of Kiya, an Egyptian woman sold into slavery who experiences first-hand the plaques of Egypt, and later chooses to flee with the Hebrews in the wilderness. I was so impressed with this story! First and foremost, the author brings Egypt to life, from the people and their culture to their way of living and thinking. Through Kiya's story, she also makes us live the traumatic and devastating plagues that Jehovah God brings on the Egyptians, one for each of their ten gods, proving them to be useless and inferior to Him. Secondly, the author accurately depicts the Hebrews using God's name Yahweh (Jehovah is the English derivative of this name as Jesus is for Yeshua). I liked that the account was told through the eyes of a Gentile rather than a Hebrew. Kiya is a fully-fleshed out character, and this is her story. She experiences hardship having gone from a life of luxury to one of slavery and hard work. Her change in faith is realistically portrayed and does not happen suddenly, which is one of my pet peeves in Christian fiction. For a debut novel and the first in a Biblical fiction series, this was amazing in its portrayal of the Exodus account with all the exotic rich details of Egypt. There are two other books in this Out from Egypt series that have been published, with the third book just released earlier this month. I look forward to reading both. Counted With the Stars will be counted as one of my favorite books this year! If you love Biblical fiction, don't miss this one. 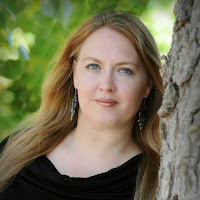 Connilyn Cossette is a homeschooling mother of two with a passion for writing stories of timeless grace. She hopes to draw readers into a personal encounter with the rich ancient world of the Bible and spark curiosity that will lead to digging deeper into the truth of the Word. Her novel Counted With the Stars won the 2013 Frasier Contest and was a semi-finalist in the 2013 ACFW Genesis Contest. She lives near Dallas, Texas. Connect with her at www.connilyncossette.com. Laura, it seems we share some of the same peeves about Christian Fiction, especially when writing about Biblical characters and places. Your review excited me when I realized here was an author who went to the trouble to research her facts and history enough to write an accurate account of this particular time in Biblical history. On it goes to the TBR list! This sounds like one I would really like. I'm adding it to my TBR list too. Thanks for sharing.